Let Aerostarter be your guide to the world of aviation! Aerostater is a community for professionals and beginners in aviation industry. 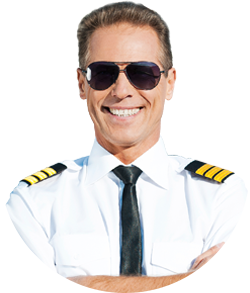 This unique service is the innovative breakthrough solution which unites flight schools, clubs, instructors, pilots, students and flying enthusiasts, helps streamline the collaboration among all parties involved, automate the process, manage all reservations and schedule through a convenient online system. Get your free premium membership now! Aerostarter will be your expert in aviation world. The service will guide you through the learning process, will help you determine your goals, take the hassle off you in a search for the right instructor and aircraft and simplify the entire process of scheduling and booking. Quick search for a discovery flight in your area to try yourself in a pilot’s seat with an option for a gift card purchase to introduce your friends to aviation. Let Aerostater be your online manager and take the hassle of client leads and incoming customer inquiries and emails, tracking payments and invoices off your back. Our service will automate this process for you. This online platform will will help you fill your schedule to its fullest capacity so that you can get as many students as you need to build up the instructor hours to advance your career and to increase your income! Secure online system that allows for easy interaction with students and aircraft provider, automates schedule , invoicing and credit card payments. Through Aerostarter you will be able to fill your schedule for available airfleet even during the least popular hours in demand! This intelligent online system will spare your administrative staff from routine daily tasks and free up their time for more important assignments. 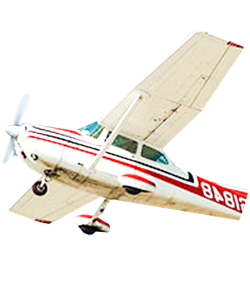 Aerostarter will help you stand out advantageously among the competitors by impressing and attracting the customers with this advanced service and making the booking and training processes much more convenient. Opportunities for attracting a pool of new students. 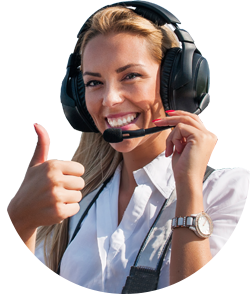 Convenient web service for interaction with students which saves time for your staff, as students book the aircraft and the instructor online. Secure online system that will automate bookings, scheduling, billing and payments with minimal commission. Thank you, you get your invitation now!